For heavy-duty protection from welding fume and particulates when welding, gouging and grinding, ESAB Welding & Cutting Products introduced the new ESAB PAPR (Powered Air Purifying Respirator) system at EuroBLECH 2018. The ESAB PAPR features a P3 filter and pre-filter to remove particulates and the latest control technology, allowing the operator to adjust air flow between 170 and 220 L/min to suit the environment and application. As an extra measure of safety, it incorporates both visual and audible alarms to alert the operator in the event of a blocked filter or low battery. Compatible helmets include the SENTINEL A50 for Air, G30 Air, G40 Air and G50 Air and Warrior Tech. 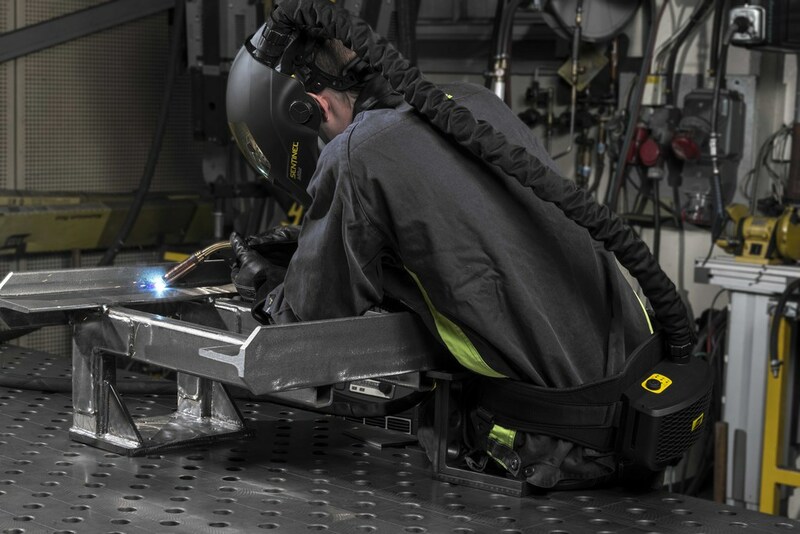 Designed with robust construction for all heavy-duty welding applications, the ESAB PAPR weighs a comfortable 1 kg. Its Li-Ion battery pack provides up to 8hr operation at an air flow rate 220L/min, and an LED indicator makes it easy for operators to see and set flow rates; there is also an LED indicator for battery charge. ESAB Welding & Cutting is a recognised leader in the welding and cutting industry. From time-honoured processes in welding and cutting to revolutionary technologies in mechanised cutting and automation, ESAB’s filler metals, equipment, and accessories bring solutions to customers around the globe.